Two thousand years ago some of the best wines in the world were produced and exported from around our vineyard. We embrace this history and are rediscovering these qualities through organic management of our soil, vines, water and animals. 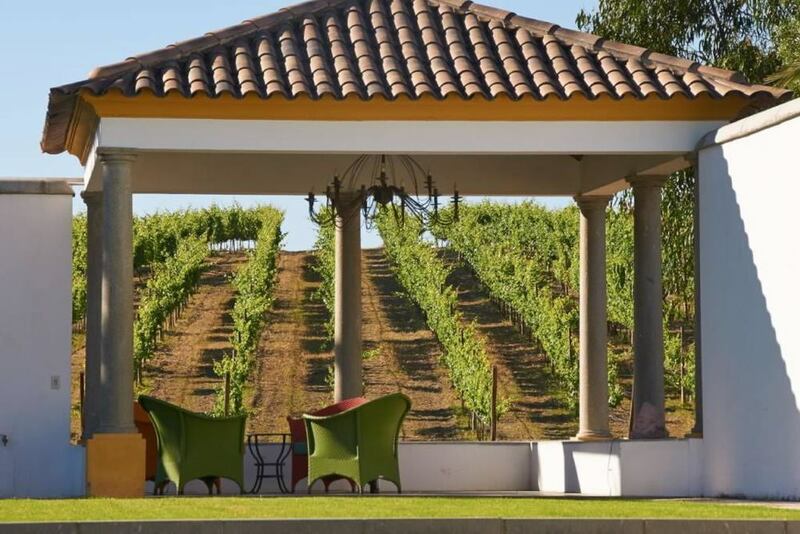 Our vineyard is overlooked by the ancient roman city of Evora, where the hot arid summers of the Alentejo contribute to the deep red color and rich spicy flavors of Dona Dorinda. Our passion for the organic and biodynamic methods manifests in the generous spacing of the vines. 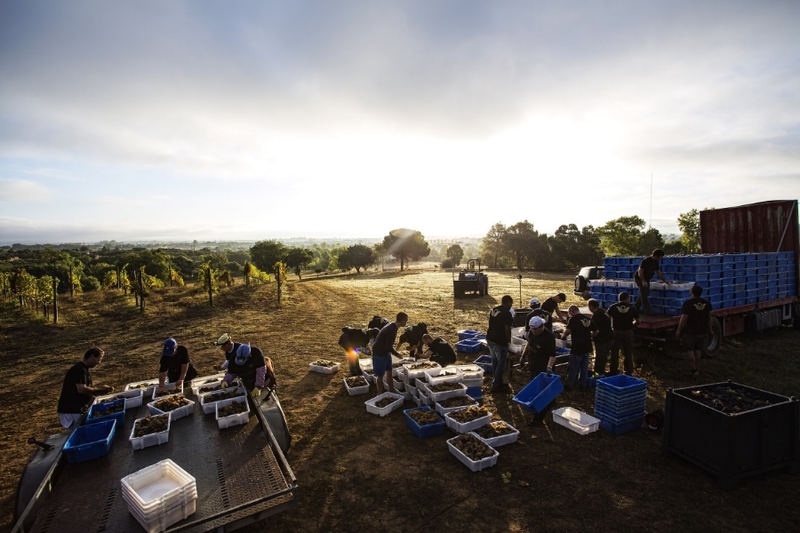 From the beginning we have pursued this project using Biodynamic principals. We feed and grow our soils as carefully as our plants. We shepherd our land to provide for plants, animals, birds, insects, water and wind. The rhythms of sun, moon and planets have dictated planting and harvesting for millennia. We prefer to remember and use these historic calendars and methods instead of chemicals and concrete. We are also proudly certified organic for both the EU and US. We are a small vineyard by choice. Throughout the year we are able to manage our grapes vine by vine. We use organic and biodynamic teas, mixtures and sprays. There is a cover crop between the rows and extra space between each plant for increase sunlight and air. 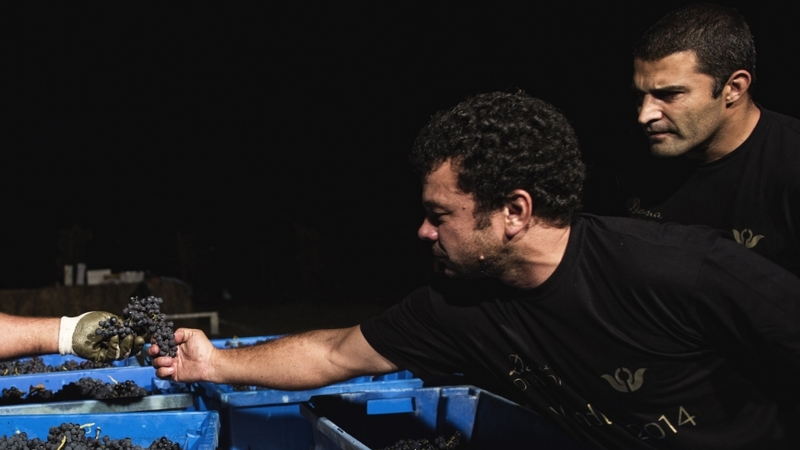 We are passionate about growing the best grapes. Our pruning and green harvest is heavy. 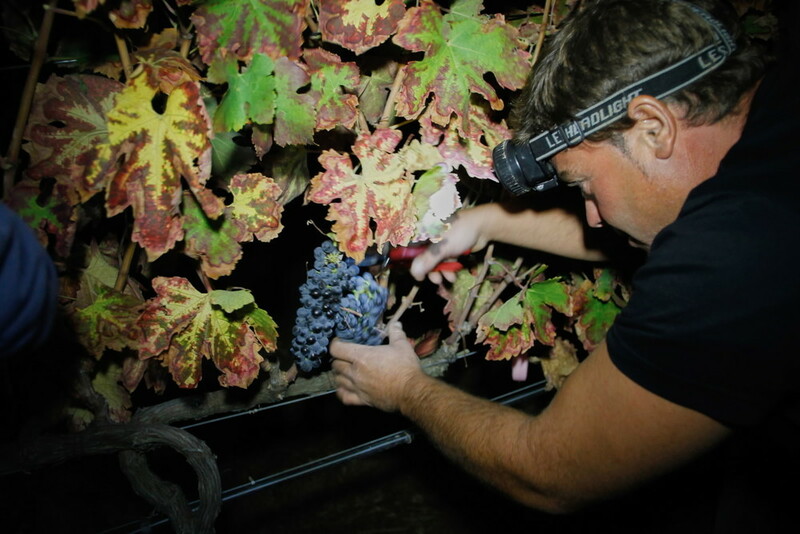 At harvest, each bunch is again inspected for quality. 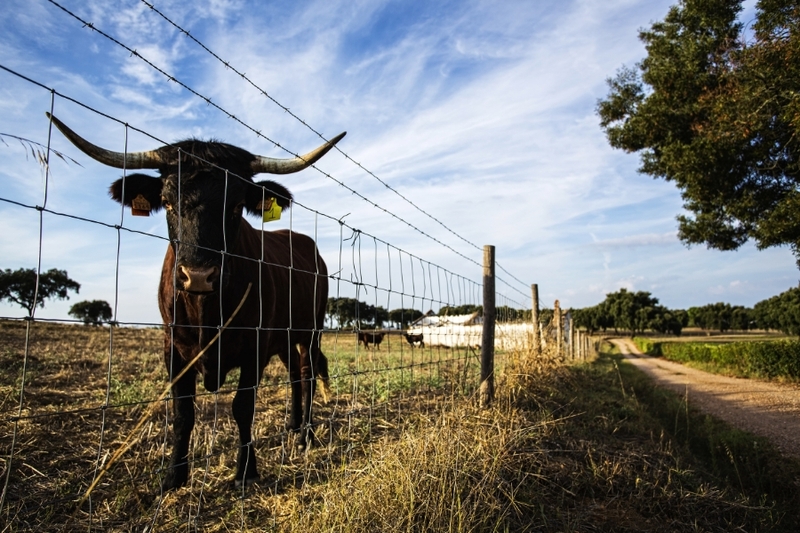 Biodynamic practices mean creating a diversified balanced farm ecosystem. We are building great quality, nutrition and flavor in everything that lives and grows here. This is the reason we decided to raise heritage Portuguese animals. We breed Garvonesas cows, Rafeiro Alentejano mastiffs, and Alentejano pigs. The pigs get fat on the acorns from our cork trees. The cows graze the fields, and then contribute back to the soil with their manure. And our dogs carry on guarding and herding… And sleeping in the sun! Sometimes we have piglets, puppies and calves for sale.